Hallmark Care Homes' 'lucky star' competition inviting residents to make a Christmas wish has resulted in a reunion for two former teenage sweethearts. Tony Parkins, 87, who lives at the Anisha Grange care home in Essex, entered the Christmas competition and wished to see ex-girlfriend Grace Duffin, 85, who lives in north London. 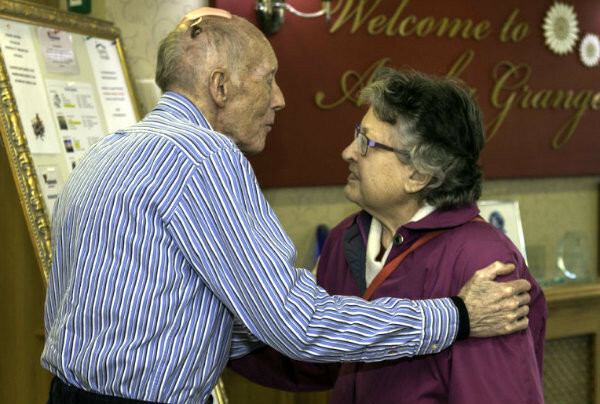 The pair had first met at a youth club in 1947 and were teen sweethearts. They each went on to marry other partners but they remained good friends - although sadly they hadn't seen each other for 20 years due to mobility issues. Tony's wish to meet up with Grace again came true when she was chauffeur-driven to a lunch date after Tony's name was picked as the 'lucky star' competition winner.